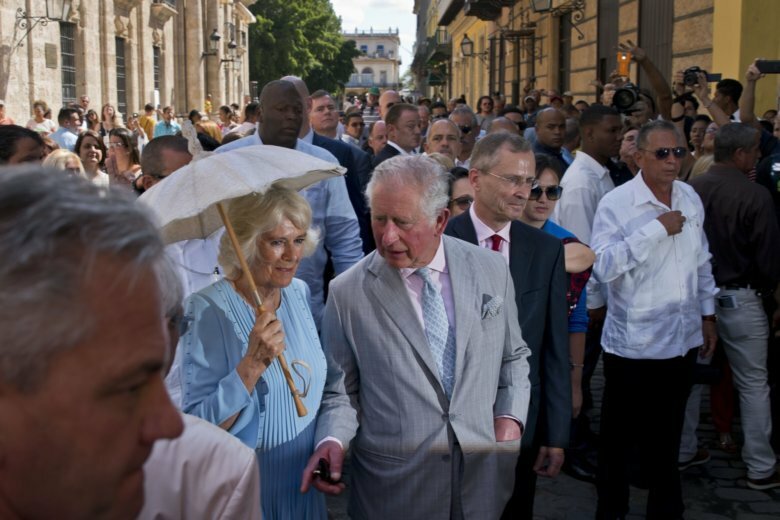 HAVANA (AP) — Prince Charles and his wife Camilla began their first full day in Cuba Monday with a visit to Old Havana, touring churches, shops and cafes in the narrow cobblestoned streets of the historic center before other events around the capital city. The agenda does not include visits with political dissidents or other critics of Cuba’s single-party system, a decision prompting criticism from Cuban exiles. The royals stopped in at Bohemia, a cafe facing the historic center’s iconic Plaza Vieja.